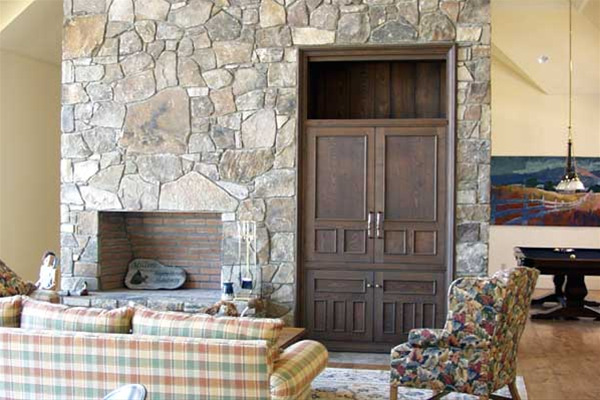 Custom TV cabinet installed in a stone fireplace. Recycled chestnut from a former mill building. The challenge with this piece was coordinating the project with the masons, electricians and stereo/tv folks. NOTHING is easy when it's being built into stone. There is a matching companion piece on the other side of the chimney mass and on the whole, they both turned out to be pretty graceful.